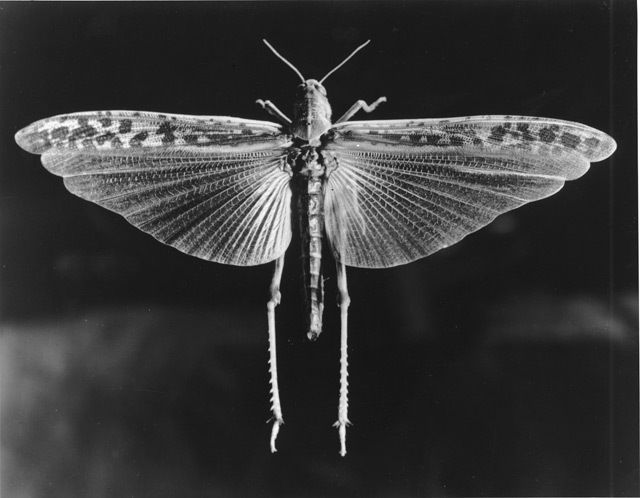 Photo by Jean Painlevé from his film The Seahorse courtesy of Cinematheque Ontario. FILM: The short films of surrealist French filmmaker Jean Painlevé are screening tonight at Cinematheque Ontario. Painlevé, whose films are a strange cross between fantasy and science, suffuses the lives of octopuses, butterflies, and seahorses with a dream-like beauty unseen in modern-day nature documentaries. He made over two hundred films in his lifetime, with five showing tonight alongside Blood of the Beasts by ultra-realist Georges Franju, which depicts the grisly interiors of a late 1940s slaughterhouse. Cinematheque Ontario (317 Dundas West) 9 p.m, FREE. COMMUNITY: After its debut success last summer, the very active Danforth East Community Association has planned a second season of Thursday afternoon farmer markets at East Lynn park. Launching this afternoon and continuing until late October, the market sells only Ontario goods and produce certified through the MyMarket organization. Upcoming summer and fall events revolve around seasonal fruit and veg (watch out for Pumpkinfest, Applemania, Peach Party, and so forth). East Lynn Park (Corner of Danforth Avenue and Woodbine Avenue) 3–7 p.m., FREE. ART: Interaccess has already solidified itself as the place for Toronto’s art-tech junkies. But just in case you weren’t sure, the Ossington gallery is hosting a support group of sorts for technically inclined artists tonight. The open studio event will function like a show-and-tell for artists to discuss obstacles, share advice, and hang out with other like-minded folk. Don’t be shy! Interaccess Electronic Media Arts Centre (9 Ossington Avenue) 7–9 p.m., FREE. MUSIC: Moody Montreal band Flotilla, proclaimed the Band to Watch in 2009 by Exclaim!, is launching its new album tonight at the Tranzac. Singer Veronica Charnley switches between ethereal, near-breakable heights before dropping back down to a more earthy, solid tone (and yes, the almost mandatory Kate Bush comparison has been made already). The rest of the band is solid too, including a classically trained harpist. The available MySpace songs just might entice you to start the weekend early. Tranzac (292 Brunswick Avenue), 7:30 p.m., $8.